Grytviken Church, South Georgia / Liam Quinn, Flickr. CC BY-SA 2.0. South Georgia might be one of the most beautiful places in the world, but the climate and life in this sub-antarctic island is harsh. In one cosy cove of this island, among the snow covered mountains is found a wonder, a small piece from the other side of the globe – Northern Europe. 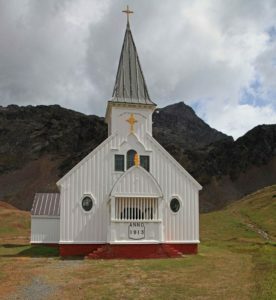 This is the white, wooden Grytviken Church. People learned about the incredible number of whales and seals in the far southern seas already in the 18th century. But harnessing of this wealth was not that simple – the processing of whales in the rough, open seas was wery complicated and risky. Whalers used the few Sub-antarctic islands as their bases – and Southern Georgia with its deep coves was one of the best suited ones. Already in the late 19th century whalers and seal hunters spent the winter here. 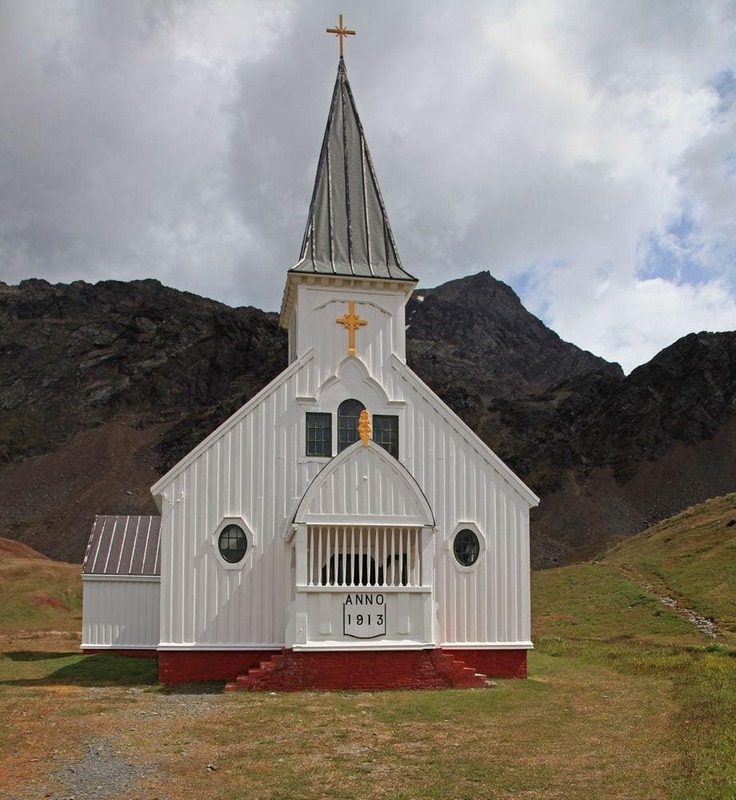 Grytviken Church, side view / Aah-Yeah, Flickr. CC BY 2.0. Grytviken got its name in 1902 – Swedish archaeologist and geologist Johan Gunnar Andersson found here try pots left by whalers. Gryt in Swedish means – pot and wiken – cove. One of these pots now is in South Georgia Museum, Grytviken. The great explorer of Antarctica Carl Anton Larsen established here a whaling station in 1904, November 16. He was a very successful entrepeneur and Grytviken turned into a large scale industry. Here was laid a firm basis for modern whaling – hundreds of people moved over to live here and the factory turned into a small town. The extreme success of whaling industry is illustrated by the fact that in South Georgian whaling stations were processed 175 250 whales. In a few years time after the establishment of Grytviken in South Georgia was produced approximately 70% of the world’s whale oil. 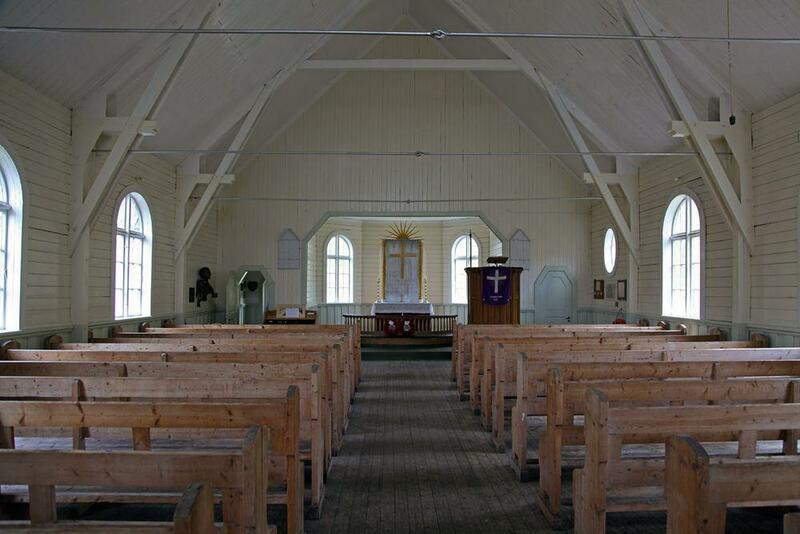 Grytviken Church, interior / Liam Quinn, Flickr. CC BY-SA 2.0. 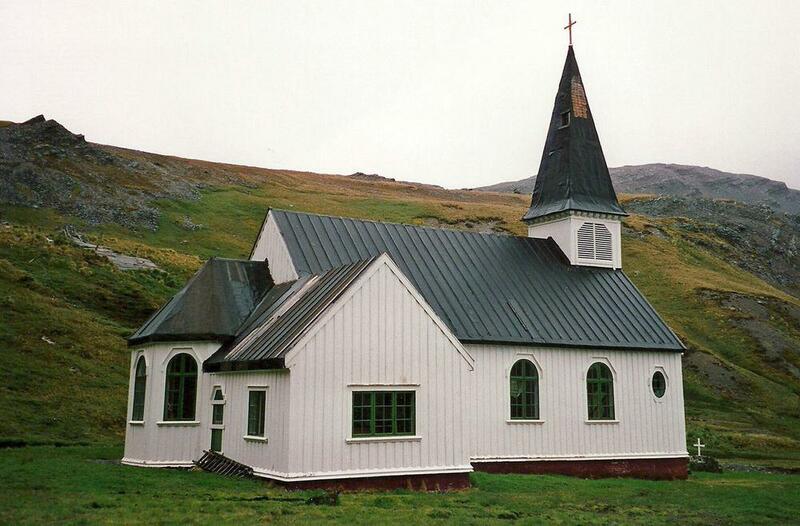 Larsen wanted to develop a true town in Grytviken – and, of course, a town needs a church. 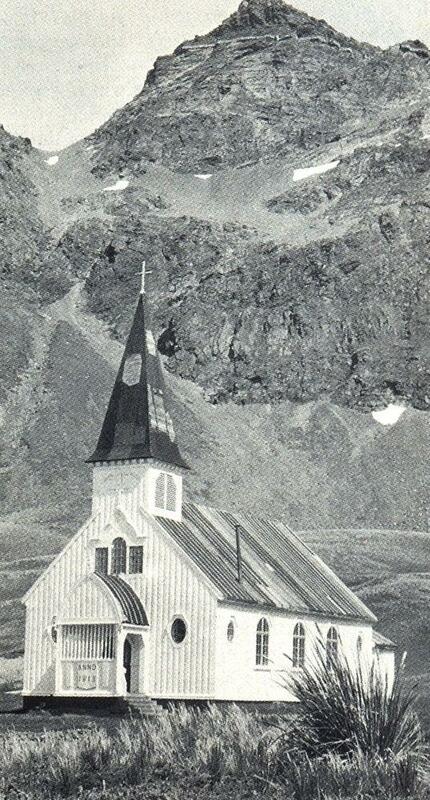 Wooden church for the far Antarctic island was prefabricated in Norway, shipped to Grytviken and built here in 1913. Church is located in the village – but still a bit out of it, closer to the mountains. 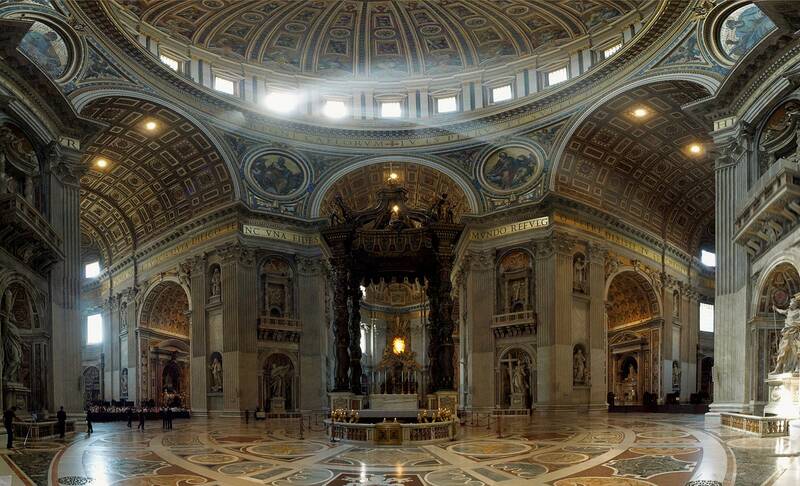 The church is comparatively simple – but this white, Neo-Gothic structure looked magnificent among the simple, red colored industrial buildings. The majestic Allardyce Range serves as a backdrop behind the building. First (and the only) pastor in the church was Kristen Loken – he served here until 1931. He recognized though that the church was not the priority for whalers of Grytviken. In his time here was conducted a funeral ceremony of one of the great explorers of Antarctica – Sir Ernest Shackleton, Shackleton is buried in the church cemetery now. The first marriage in the church was held on February 24, 1924 – A.G.N. Jones and Vera Riches were married here. Several more marriages have taken place here – the last one in 2006. Occasional church services still are held here. The riches of Southern Atlantic were not endless. Number of whales and seals started to decrease. World economy changed – whale oil was replaced with kerosene and other substances. Grytviken was abandoned in 1966 and the buildings are deteriorating since then. The church was damaged in a storm in 1994 and the wooden structure gradually deteriorated. Another process though is taking place – there are more and more tourists in Antarctica and also the cultural heritage of Antarctica is valued higher than before. Asbestos has been removed from the old buildings, dangerous constructions were removed – thus adjusting the abandoned town for tourist visits. Bones of whales add to the local exotics. In 1995 one family returned to the town – Tim and Pauline Carr. They have established a museum in the former quarters of management and with the help of volunteers renovated the church in 1996 – 1998. Now the church serves as one of tourist attractions in the beautiful South Georgia. 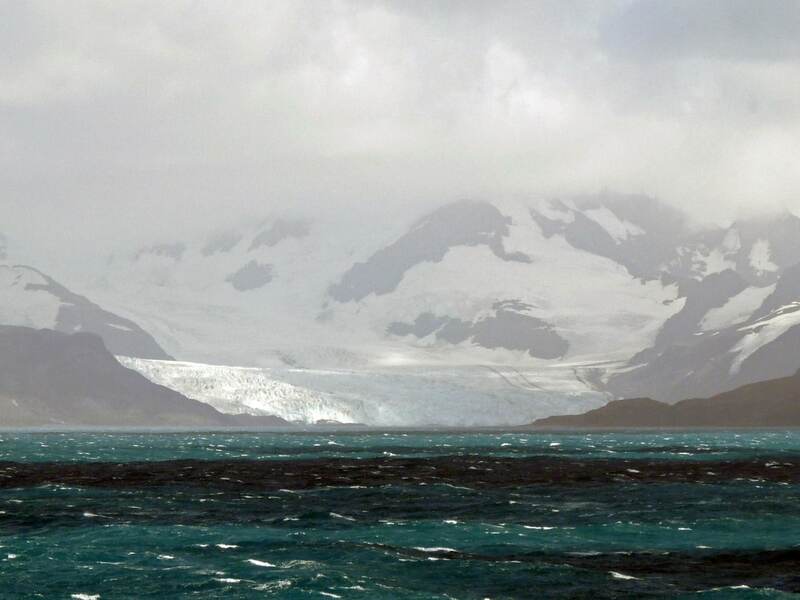 South Sandwich islands and especially – South Georgia – are incredibly spectacular islands with unsurpassed, harsh beauty of rugged mountains rising directly from the blue ocean. The islands are a home to millions of birds and seals – these sub-antarctic islands have the highest density of birds and mammals in the world. After twenty-five years of cruising the world’s oceans, renowned blue-water sailors Pauline and Tim Carr found themselves being drawn to the lonely places of the higher latitudes to experience earth’s last, scarcely touched regions. Antarctic Oasis records the culmination of those exploits.